Catherine (Maria) Kasper was born in 1820 in Dernbach, Germany. She was one of four children born to Henry Kasper and his second wife, Katherine. Henry also had four daughters by his first wife, who died at an early age. Catherine was a good student and a great help to her family. She learned to spin and weave, and worked in the family’s potato patch. Other children enjoyed spending time with Catherine, and she shared with them stories about God and Mary. Together they would visit a Marian shrine outside of Dernbach. When Catherine was twenty-one, her father died. By law, his property went to the four daughters of the first wife. 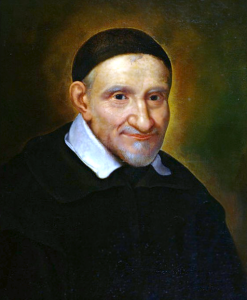 Nothing went to Catherine’s mother and the four children she had with Catherine’s father. This forced Catherine and her mother to rent housing. Because Catherine’s mother was not in good health, Catherine had to take work as a farm hand. 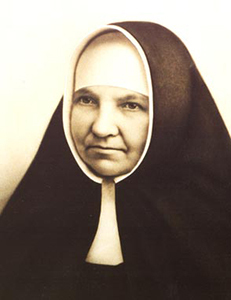 Mother Mary Kasper, as she was called, died on February 2, 1898. 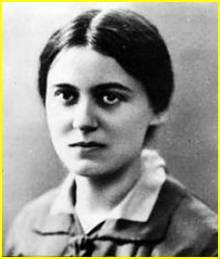 On her path to sainthood, she was best known for the way in which she followed the example of Christ by serving others. On October 14, 2018, Pope Francis canonized Maria Kasper. She is now a saint of the Church. Primary Grades: When she was young, Saint Maria Kasper was a great help to her family. She learned to spin and weave, and worked in her family’s potato patch. Invite the children to name ways they help their families. Then give them time to draw pictures of themselves helping their families. Intermediate Grades: When she was young, Saint Maria Kasper shared stories about Jesus and Mary with her friends. Ask the young people to name the story of Jesus or Mary they would tell their friends, and why they would choose to tell that particular story. Junior High: Because her mother needed her help, Saint Maria Kasper could not follow her dream of becoming a woman religious until she was in her early thirties. Invite the young people to quietly think about hopes and dreams they have had to wait for or are waiting for today. Then ask volunteers to share what we can learn about hoping and waiting from the example of Saint Maria Kasper.